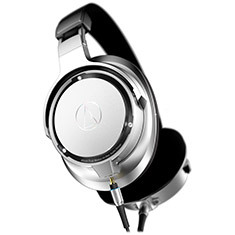 The Audio-Technica ATH-SR9 over-ear headphones feature newly refined 45mm True Motion Drivers with bobbin-wound OFC-7N voice coils and a DLC (diamond-like carbon) coating on the diaphragm to give you spectacular Hi-Res Audio wherever you go. The headphones also employ Midpoint Mount Technology, which ensures uniform space in front of and behind the diaphragm, and an acoustic resistor in each driver that helps control airflow around the diaphragm for smooth, natural audio reproduction across the entire frequency range. The highly rigid construction of the aluminium housings, anchored by several tapped screws, greatly reduces unwanted resonance. And the soft, durable foam earpads and headband ensure a comfortable fit. The ATH-SR9 headphones come with two detachable 1.2m cables: one standard and one with an in-line controller and microphone to let you easily answer calls and control music and video playback. Both cables are equipped with A2DC (Audio Designed Detachable Coaxial) connectors at the headphones for exceptional durability and optimised audio performance. 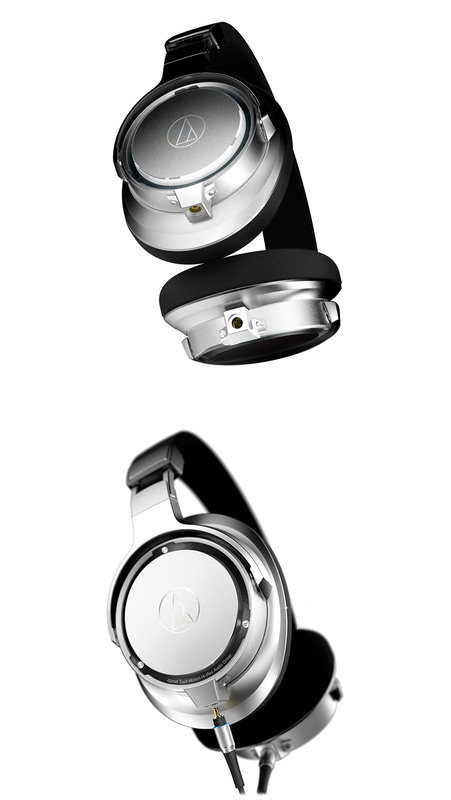 The headphones fold flat for easy transport in the included hard carrying case.